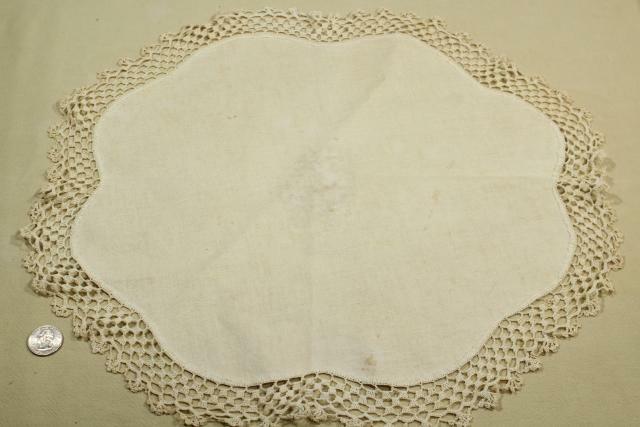 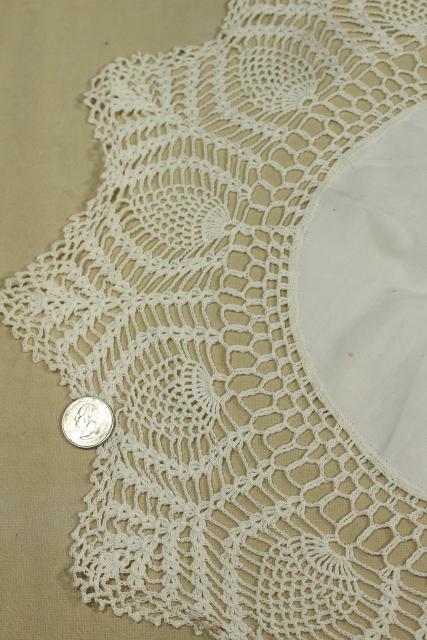 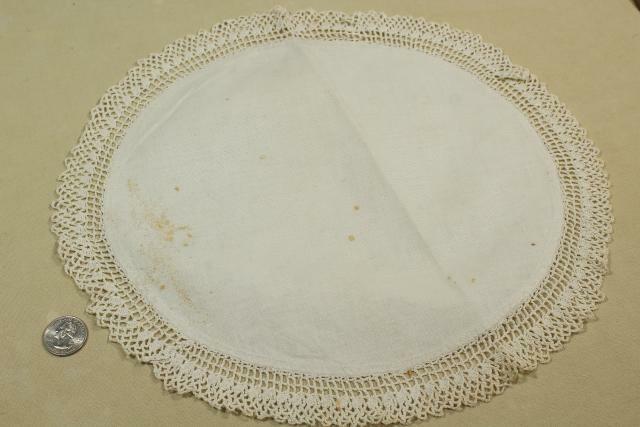 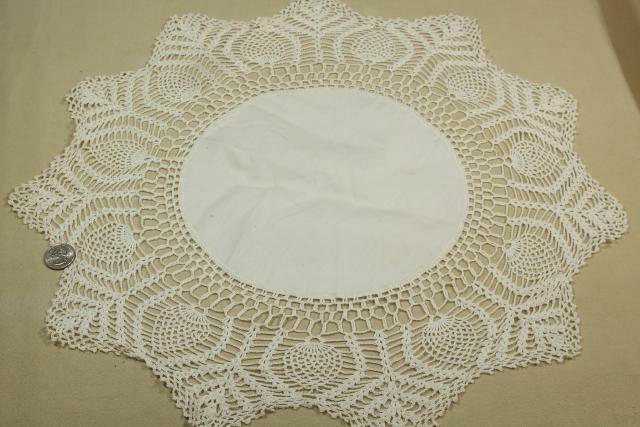 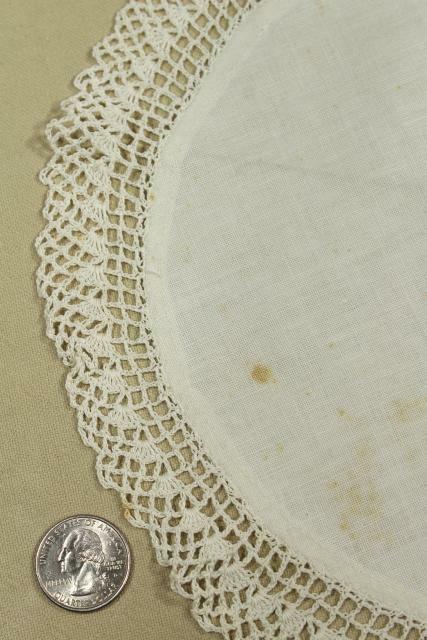 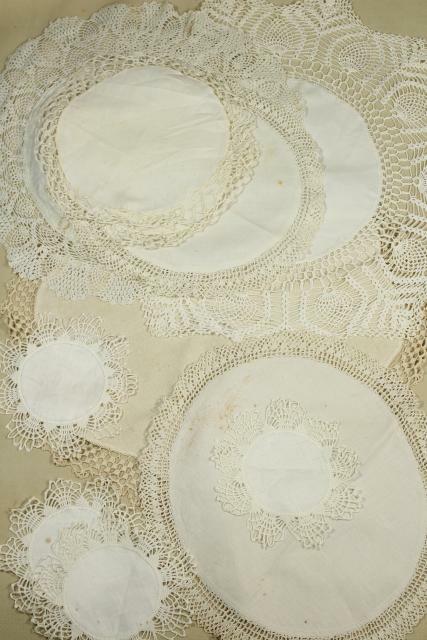 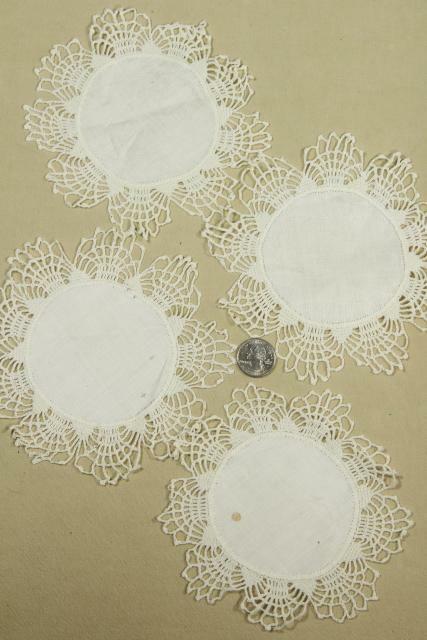 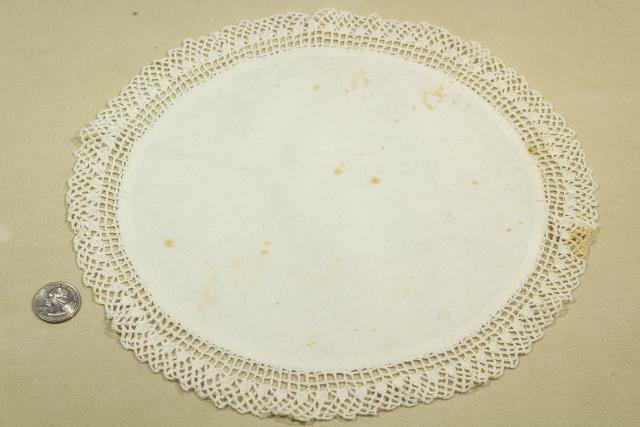 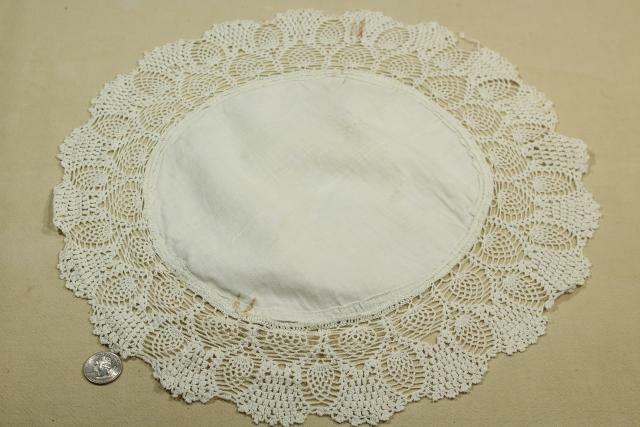 Lot of eleven vintage crochet lace doilies and table mats. 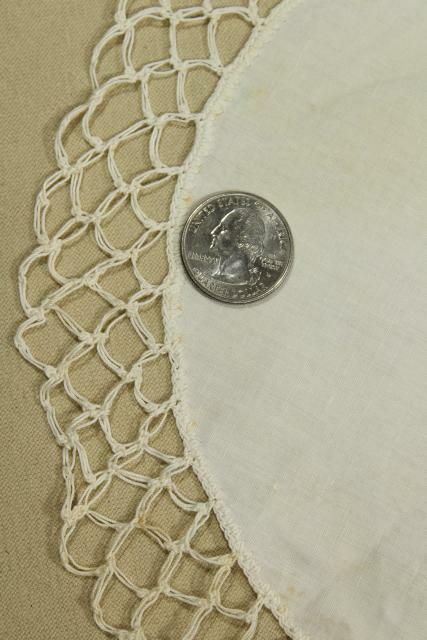 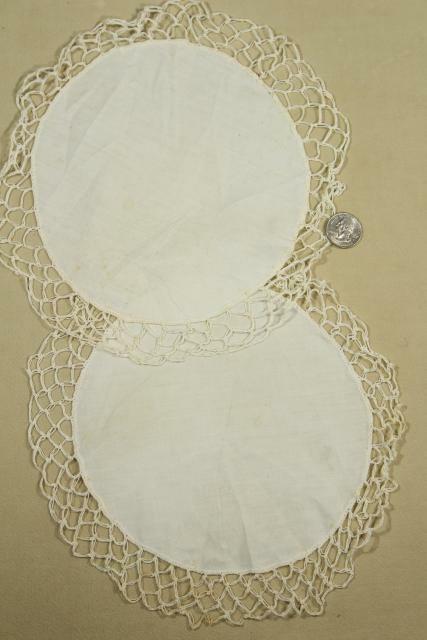 These are cotton and linen fabric with fancy edgings, mostly rounds ranging in size from about 6" to 16" in diameter. 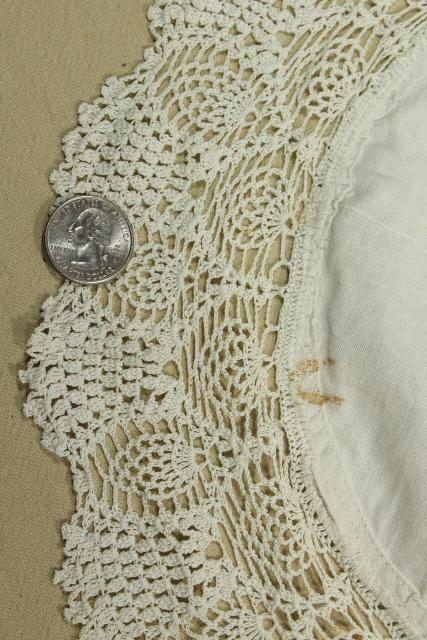 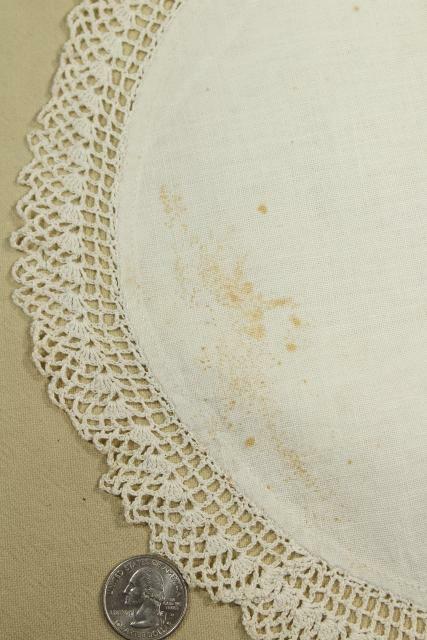 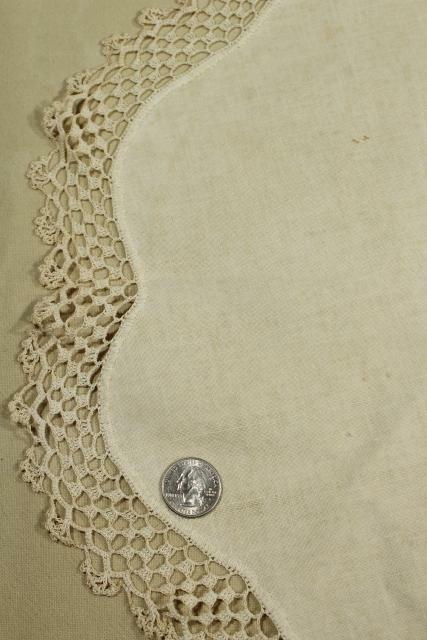 The white and ivory colors are a little faded or discolored on some. 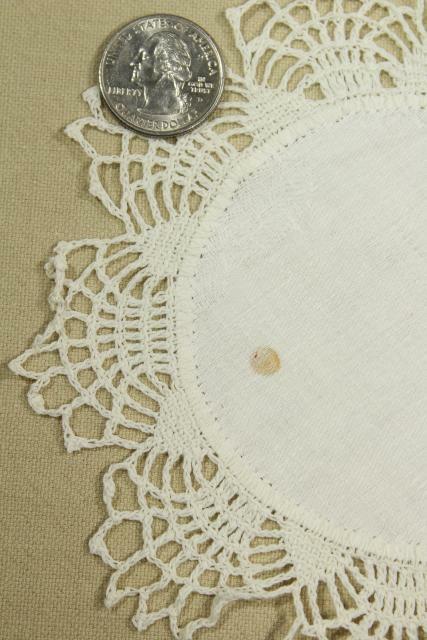 Many have a few spots, a few have a few holes.